Due to spring holidays, schools in New York City adopted May 6th as NYC Arbor Day. 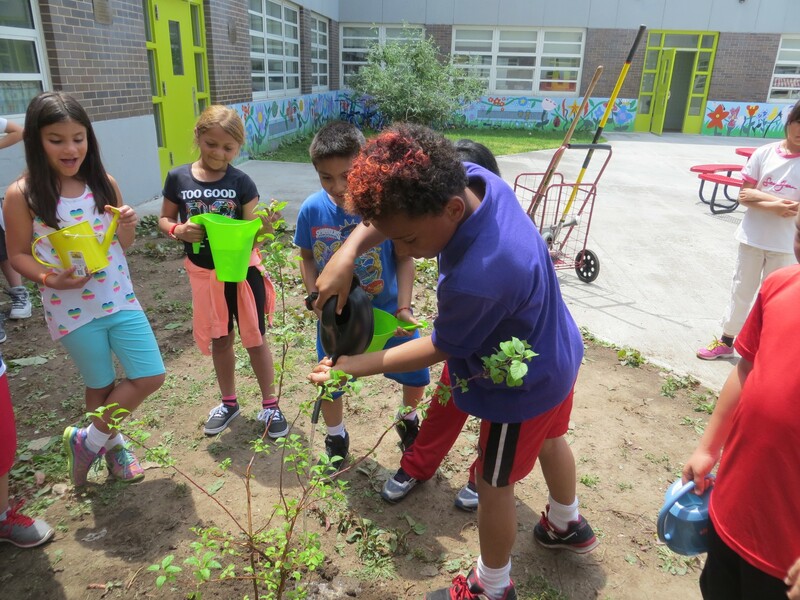 On that Friday last spring, most of the 59 participating schools planted their trees, which included flowering dogwoods, redbuds, wild cherries, maples, Colorado spruces, red oaks, black walnuts, river birches, honey locusts and black pines. Also planting were Urban Park Rangers at Inwood Hill Park, which is part of NYC Parks & Recreation. 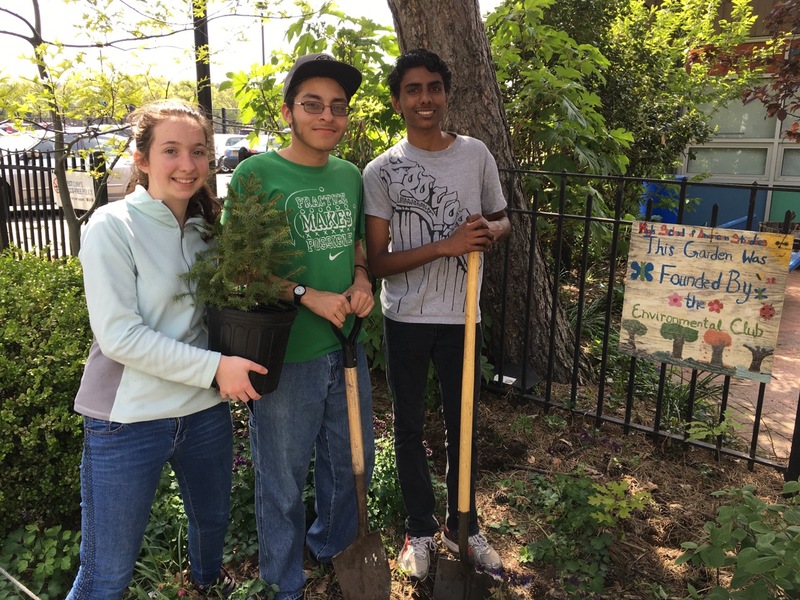 The total number of trees planted was 234, which had been grown to size and carefully tended by students and teachers at John Bowne High School in Flushing, Queens. Students at Bowne participate in the Plant Science and Animal Science programs at this high school. The tree nursery is part of a small farm that is also home to animals, greenhouses, an orchard, and vegetable planting beds. 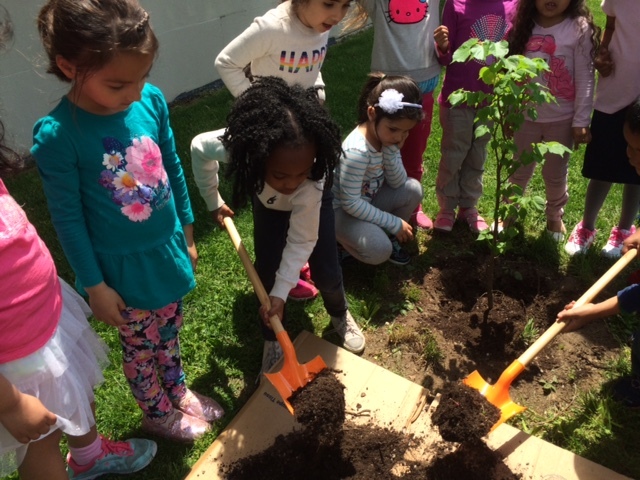 The NYC Arbor Day Project is sponsored by the Bartlett Tree Expert Company, which has “adopted” the Bowne program and has provided trees for the nursery, among many other donations. 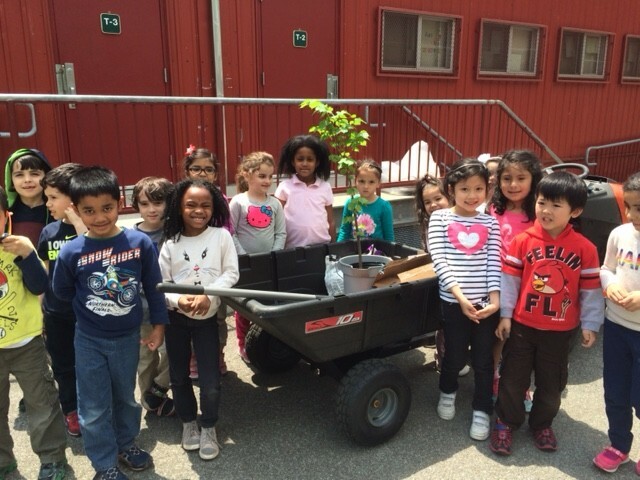 NYC Arbor Day Project Coordinator Nancy Wolf reaches out to schools across the City in late winter and receives orders, which are processed for the Parks Department. 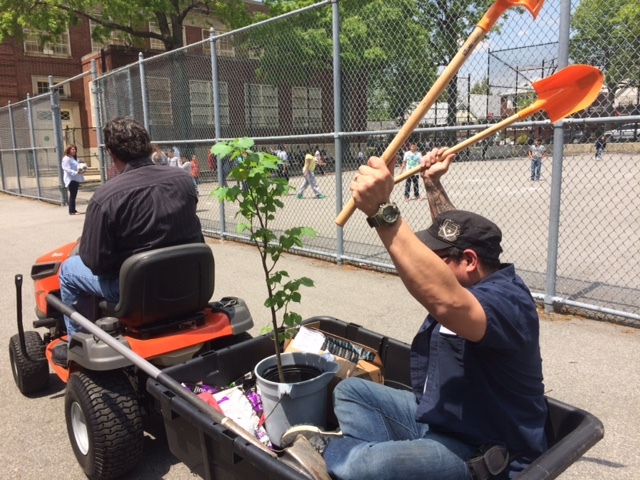 A few days before the selected Arbor Day, Parks Foresters from each borough pick up the trees at Bowne for delivery to the participating schools. 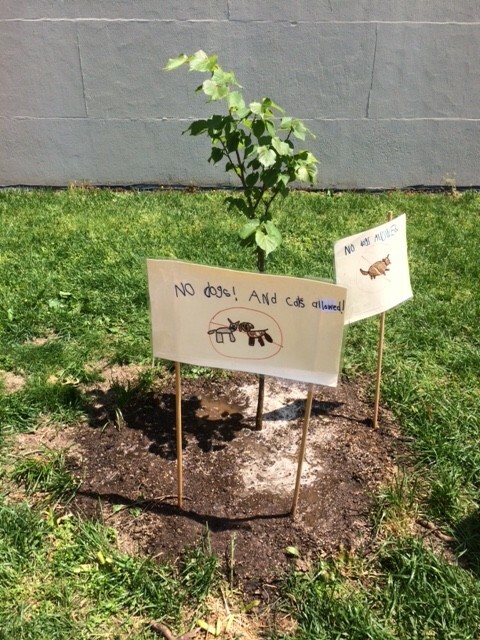 The Arbor Day Project has many moving parts and they all work together to make sure the City of New York continues to plant trees, even though the MillionTreesNYC initiative has reached its goal. 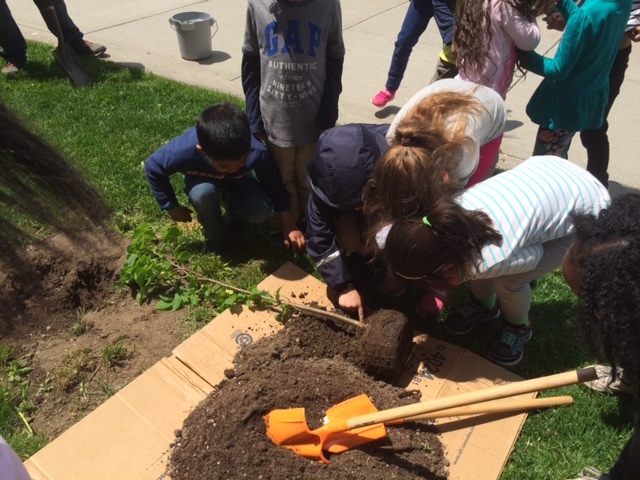 Students at Bowne are currently tending young trees for next year’s Arbor Day celebration.